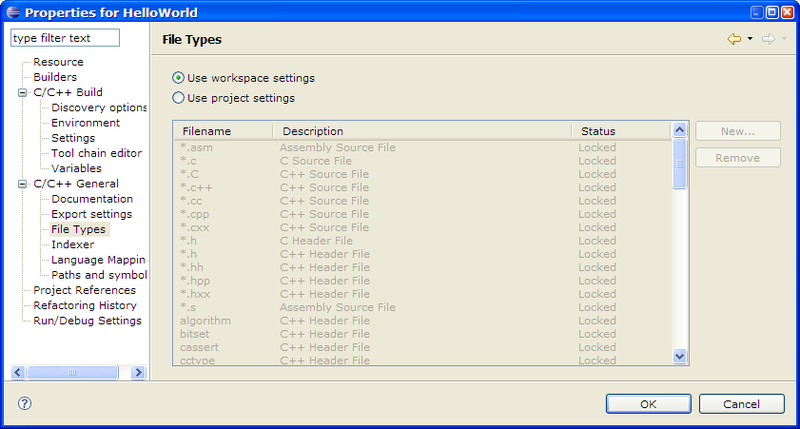 You can view a list of file types on the File Types page of a C/C++ project's properties window. Enables the use of the Managed workspace settings. Enables the use of project settings, or the addition or removal of specific file types. Adds a new file type. Removes a listed file type.